Each letter on an individual card. Each Nekudah on an individual card. 47 Black and white letters, crowned, with nice colorful backgrounds. Size: 9 x 9.75 . Carrying bag included for easy handling and storage. 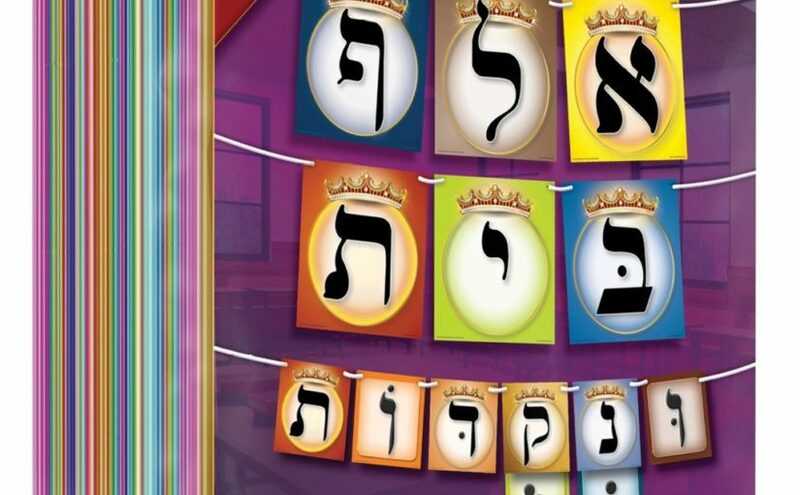 These high-quality Alef-Bais posters are decorative & bright, with bold attractive lettering, which helps you teach your children with clarity and ease. 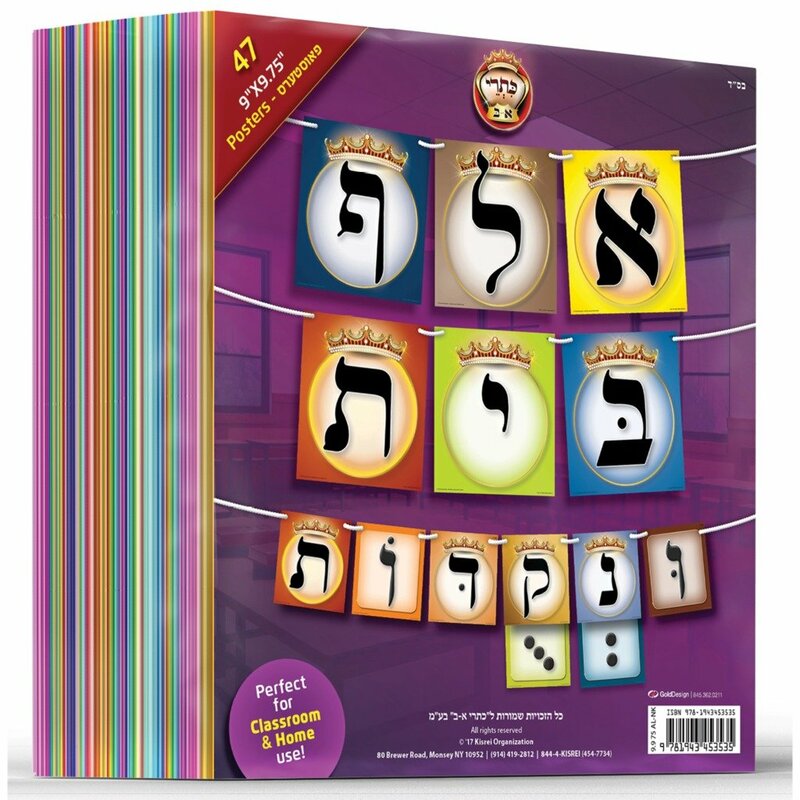 It is a must-have for every child!